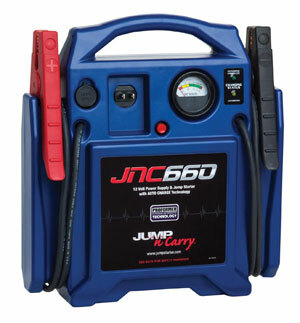 Is The Jump-N-Carry JNC1224 Jump Starter As Reliable As Buyers Expect? 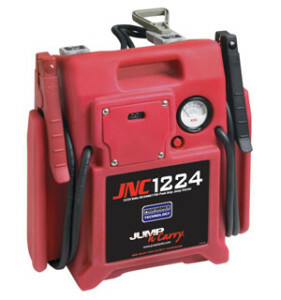 The Clore Automotive Jump-N-Carry JNC1224 3400/1700 Peak Amp 12/24V Jump Starter looks like a simple portable device but there is more to this product beneath its red heavy-duty, impact resistant casing. This portable car battery jump starter is designed for “everyday professional use” and “optimal power transfer” and uses a 12/24 volt operation, 46” #2 cables and automatic recharging. 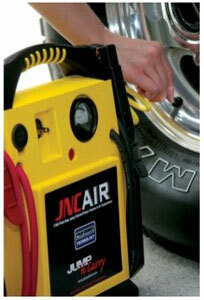 Just How Beneficial And Reliable Is The Clore Automotive JNC4000 Jump Starter? On first impressions, this Clore Automotive JNC4000 1100 Peak amp 12V Portable Jump Starter may not look like much and, to be honest, there is little to be said in a product description for a model than is clearly putting power and function over any attempt at design or flashy features. The car jump starter simply has an internal charger, 23” leads, 1100 peak ampere and a DC outlet, but does this approach make it reliable and recommendable? Can’t Get your Car Started? Then Maybe You Need a Bit of an Assist from the JNCAIR Jump Starter! A Popular Choice Among Consumers – While you see the word jump starter defined by various terms—booster cables, battery boosters, booster boxes, or boosts—they can all vary in their ease of use and level of power and safety. That’s why it’s important to carefully scrutinize your choices when you are shopping for the boosters online. 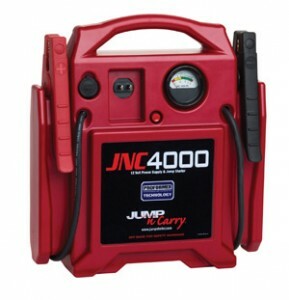 One car jump starter that is a popular choice among consumers is the Jump-N-Carry JNCAIR 1700-Amp 12-Volt Jump Starter with Power Source and Air Compressor. 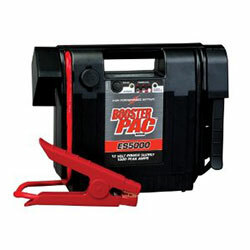 If you are seeking a jump starter or battery pack that is both dependable and simple to use, then stop your search with the Clore ES5000 Booster PAC 12V Portable Battery Booster. This product is made with 1500 amps of peak power and comes with #4 gauge cables that are a little over three and a half feet long. The Clore Automotive jump starter is perfect for anyone living in remote, northern locations where the snow, ice, and sharp chill breezes can adversely impact a vehicle’s starting ability. If you are in the market for a powerful portable jump start device, then the Jump-N-Carry JNC950 2000 Peak Amp 12V Jump Starter is one of the great device to consider. It has a pre-built 2000 Peak Amps that can be utilized to start power. 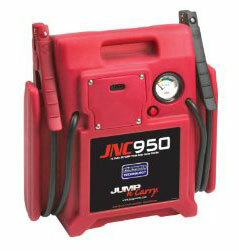 The battery jumper has the capability of spinning the starters of one six commercial trucks. For more aggressive moveable users, the Clore PROFORMER battery comes in handy. Furthermore, is has an on-board automatic charger with the capacity to offer continuous charging throughout the whole day. Whether you are a commercial car dealer and need a jump starter to charge up the cars on your lot or a private individual who needs a reliable jump start, you would be pleased the great functions provided by the Clore Automotive JNC660 jump starter. This 1700 peak amp portable battery booster features an indicator gauge and comes with 46-inch #4 cables that are strong and durable.